Bunny Shamers! Sorry for the lack of shame lately - I have been moving, but will hopefully be back to normal somewhat soon! And on that note...time for shame! 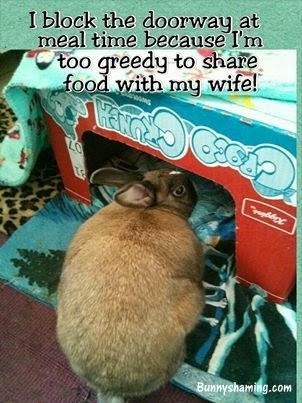 This bun does not share well with others.